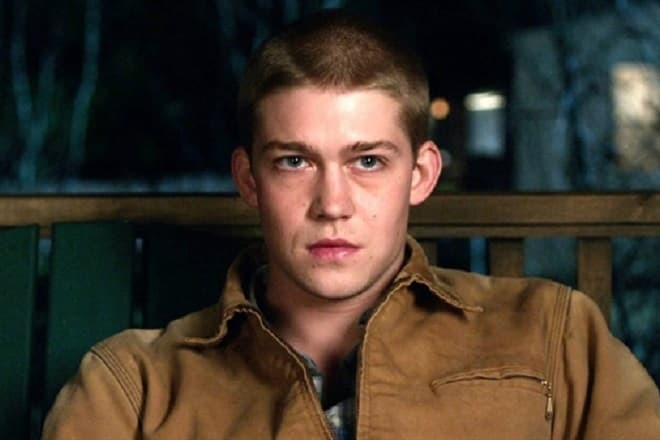 Little was known about Joe Alwyn, an English actor, before 2016 when he debuted on the screen. Nevertheless, it was definitely a very rapid one since after featuring the leading role in the movie Billy Lynn's Long Halftime Walk of an Oscar-winning director Ang Lee, Alwyn all of a sudden started to be taken up as a serious professional. Alwyn was born on the 21st of February and spent his childhood in North London, speaking more precisely, in so-called Crouch End and Tufnell Park. His parents’ jobs can’t be called banal: his mother is a mental health counselor, and his father is occupied with making documentaries. Joe has two younger brothers, Patrick and Thomas. He started his education at the City of London School, which is an independent educational institution for boys. The school is located in the heart of London next to the Tate Modern and Millenium Bridge — a perfect place for any young boy who wants to grow up as a true British gentleman. While growing up, Joe considers himself to be quite a reserved child, but throughout all this time he secretly wanted and prepared to expose as an actor. Being a senior, he joined the National Youth Theatre, in which other famous actors participate too, for instance, Daniel Craig, Colin Firth, Rosamund Pike. Alwyn enrolled in the University of Bristol to study English literature and drama and continued his performances on the stage. He acted in a couple of amateur productions in Edinburgh as his study practice and, as a final phase of his graduation, worked at the Royal Central School of Speech & Drama achieving a bachelor’s degree in 2012. Taking everything into consideration, Alwyn might be regarded as a well-prepared young actor who was ready to conquer not only the world of the stage but also the cinematographic one. Anyway, the way to Hollywood led through the theatre. 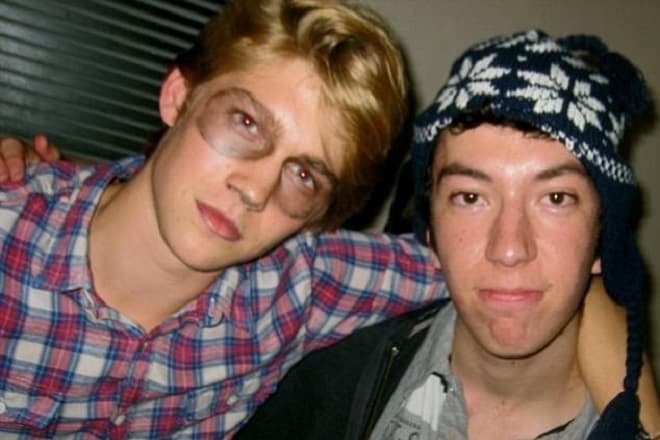 After the graduation Joe Alwyn began polishing up his mastery in the Central Royal School and spent there two years, taking part in the play Angels of America by Jeffrey Coleman. He wasn’t set for the lead which was performed by Al Pacino in the same name movie (2003), but did his best and was recommended as a bright young man. Alwyn’s cinema debut was in the film Billy Lynn's Long Halftime Walk (2016) by a famous director Ang Lee (Life of Pi, Brokeback Mountain, Crouching Tiger, Hidden Dragon). The movie was based on the novel by Ben Fountain which told the story of a 19 years-old soldier who fought in Iraq but got in the shot of military journalists. Their material made a massive response in public, so the whole platoon woke up famous one day. The boys were supposed to spend some time in America which was in dying need of witnessing new national heroes. However, after the enormous glory, they had to get back to arms in the cruel reality of war, but Bill (Joe Alwyn) didn’t honestly want to, so he started to hesitate. Various critics acclaimed the film for showing a striking difference between two worlds: the peaceful one where money and power rule, and the wartime with all the suffering and pain. Alwyn was playing brilliantly, demonstrating his talent next to such veterans as Vin Diesel and Steve Martin, and also received warm reviews from his colleagues Taron Egerton and Aaron Paul on Twitter. The next role he got was the supporting one in the movie The Sense of an Ending where his partner was a British actor Jim Broadbent. The versatile talent of Alwyn was verified with the image of his dramatic hero, who later ended up with a suicide. What is more, the movie was based on the novel of another well-known writer Julian Barnes. It was indeed a straightforward road to glory and fame for Alwyn. The year of 2018 was fruitful in Joe Alwyn’s filmography. The first movie to be released was Operation Finale by Chris Weitz (The Golden Compass, A Better Life) which gave Alwyn an opportunity to work with Ben Kingsley who played the hiding Gestapo member. It was based on the real story of the ex-nazi Adolf Eichmann on the run which was in Argentina for a long time. Joe performed as Klaus, Eichmann’s son, and was surprised with the difficulties he faced. According to his words, there was that exact perennial question of the love towards his father and the lack of reconciliation with his ideological views. However, all this is unimportant when the sign of Adolf’s crimes falls on the shoulders of his son. 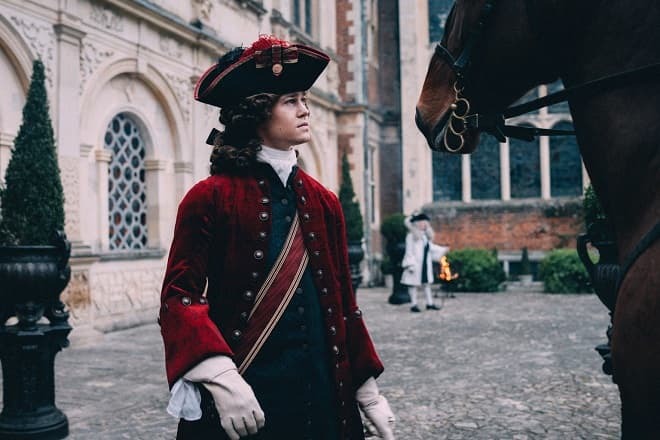 In August of 2018, the movie The Favourite came out 75th Venice International Film Festival, making Alwyn even more successful than ever. The Favourite was about the times of Anna’s reign, the last from the House of Stuarts, but the picture couldn’t be called plain and only historical. The film is more of a love triangle story between queen Anna, a sophisticated duchess Marlboro and a simple girl Abigail aiming really high. Alwyn played the role of baron Masham who was in love with Abigail. This ironic and witty drama film was nominated for several awards, including the Academy Award. As for Joe, he wasn’t left with nothing: the lucky guy got commended with the Chopard Trophy, which is the most prestigious award for any budding actor. In the autumn of 2018, Joe Alwyn appeared in Mary Queen of Scots, alongside Saoirse Ronan and Margot Robbie. He played Robert Dudley, Queen Elizabeth’s (Margot Robbie) close counselor and even lover. Their relationship was harsh due to the gossips of the court and the situation of the Queen itself: she was obliged to think more of her country but not of the personal business. However, any woman can understand her with the underlying feelings such as the sorrow of separation. And Alwyn’s character is totally worth it. The next of the 2018 movies was Boy Erased, which told the story of a Baptist pastor’s son who discovered his homosexuality. Although he admitted undergoing the correctional treatment for gays, he suffered a lot, losing his true identity. For a long time little was known about Alwyn's affair with 28-years-old singer Taylor Swift, but only the sole fact that it existed (and still exists). There has always been a lot of information about Swift's partners, either her boyfriend was Taylor Lautner, Jake Gyllenhaal or Tom Hiddleston. But after the Reputation was released, she became more reserved. Perhaps this just proves the seriousness of her intentions towards Joe. The couple started dating in 2016, demonstrating simplicity and modesty. Even the story of their first meeting is ordinary: it was on the Kings of Leon concert, and the one that could introduce them was Emma Stone. But their paths crossed some time before: Swift and Alwyn both attended the 2016 Met Gala, and this moment was carefully remembered by Taylor — in the song «Dress» she recreates from her memory Joe’s buzz cut. Sometime later Taylor rented an apartment in London close to Joe, so they could easily spend cozy evenings in between their work schedule. No one was able to get more than just a photo of them holding hands for a while, but in 2018 more details and news started to pop up after the official revelation of their relationship. As it was told in the interview, Joe and Taylor loved watching movies together, inviting their close friends over to home-cooked dinners and just, well, chilling on the sofa. It is quite an incredible example of a young star couple being in a standard relationship and admitting it. It's easier to imagine any other celebrities doing simple stuff, but not them. To anyone's mind, they do fit each other on the scale of fame and good looks. One can only look at the photos made on Joe’s 28th Birthday, where both guest of honor and his girlfriend are gorgeous. Now the net can boast of the couple’s shirtless photos, but at the same time, their Instagram accounts remain strictly professional. Joe has very few photos posted and more than 230 thousand followers. In 2017 he was invited to be a part of the Prada Spring 2018 campaign, called «Ascension». Alwyn posed at the top of the shopping mall in Milan, where the brand’s exhibition was located. The actor was showing off his Britishness combining with the classic Prada look, and he was even considered to resemble a modern hero from some comic book or graphic novel. Joe Alwyn a net worth is $250,000.